It is only necessary to make war with five things: with the maladies of the body, with the ignorances of the mind, with the passions of the body, with the seditions of the city, with the discords of families. Abuse, if you slight it, will gradually die away; but if you show yourself irritated, you will be thought to have deserved it. He had a certain frankness and generosity, qualities indeed which turn to a man's ruin, unless tempered with discretion. In stirring up tumult and strife, the worst men can do the most, but peace and quiet cannot be established without virtue. No hatred is so bitter as that of near relations. It is the rare fortuene of these days that one may think what one likes and say what one thinks. Keen at the start, but careless at the end. 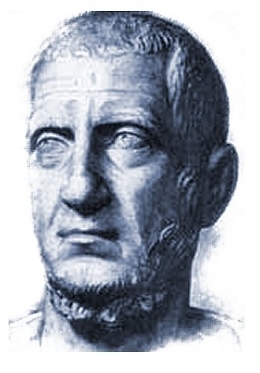 27 quotes by Publius Tacitus.